In 2011 North Africa and the Middle East saw independent grassroots movements demanding democracy morph into full-scale revolutions known as the Arab Spring, in which civilians demanded successive democratic elections in an effort to oust decades of authoritarian regimes and actors. 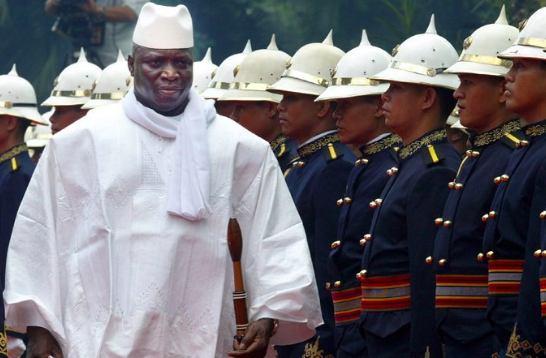 In it’s own manner, Sub-Saharan Africa has also begun weeding out decades of autocratic leadership, most notably, Gambia’s ousting of former despotic ruler Yahya Jammeh. Jammeh was also notorious for vigilantly repressing any form of dissent from the public, targeting journalists and members of the press using his paramilitary known as “The Junglers”. In December of 2015, Gambian journalists alongside the Federation of African Journalists, filed a case to the ECOWAS court affirming that under the era of Jammeh, their right to freedom of expression had been compromised and criminalized through the imposition of laws specifically targeted towards any kind of provocative, inciting or defaming statements towards the government. As a result of the ratification of such laws, over 110 free press journalists fled the country, suffocating Gambian-based press and free speech within the nation. In a few extreme cases, Gambian journalists were victims of murder or enforced disappearance, such as Deyda Hydara, a journalist and activist for human rights and freedom of expression who was murdered in 2004. While the institution of periodic elections through democratic vote enshrines individual autonomy to take part in decisions concerning one’s country, or to elect actors and representatives to do so, it is important to institute structural legalistic mechanisms that continuously uphold the social, political, and civil rights of nationals, while also providing justice and reconciliation for victims of previous administration. The success of victims under the regime of former Chadian dictator Hissène Habré sets a social and legal precedent for African jurisdiction and the prosecution of former dictators for human rights abuses, war crimes, and national reconciliation. The Habré case is important to note in the context of Jammeh as it provides the legal groundwork from which the prosecution of Jammeh may potentially emulate. Previously unequipped to prosecute Habré under domestic law, Senegal introduced amendments to legislation, creating the Extraordinary African Chambers in response to an African Union mandate urging for the immediate prosecution of Habré after years of unsuccessful attempts by the ICJ to extradite him to Belgium under the norms of universal jurisdiction. Under this court, Habré was indicted under charges of crimes against humanity, torture and war crimes. While Senegal may have lacked the legal framework within domestic law to fully prosecute Habré for the crimes committed under his regime, the decision to introduce a specialized court for this specific case proved monumental for African jurisprudence as a whole. Using the designated procedures of extradition, indictment and prosecution, the Extraordinary African Chambers sets a precedent for new African courts to emerge with the capacity to pursue and try alleged human rights abusers and violators within their respective states, rather than resorting to extradition. More importantly, the creation of new courts may allow for the potential admissibility of retroactive jurisdiction, especially in cases of human rights violations that precede 2002, from which the ICC no longer retains jurisdiction. The creation of a new court within Gambia may prove to be the most efficient option in order to try and condemn Jammeh and those affiliated within reasonable amount of time while evidence is present. The results of the 2016 Gambian elections proved a source of hope for many Gambians stifled under the oppressive and authoritarian rule of Jammeh. 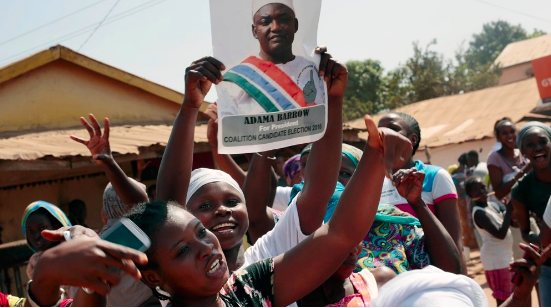 The election of Adama Barrow, opposing candidate to Jammeh, signified the first time since Gambia’s 1965 independence from the UK that the country would experience the election of a head of state by popular vote. Initially accepting Barrow’s victory, Jammeh later reversed his concession on live national television, rejecting the election results and refusing to concede. Widespread condemnation from the international community, in particular the surrounding members of ECOWAS, eventually pushed Jammeh to flee in self-exile to Equatorial Guinea. With the assumption of power by the democratically elected Adama Barrow came drastic changes in Gambia’s governmental policy. Eager to distinguish himself from his predecessor, Barrow’s government has promised to make Gambia “the human rights capital of Africa,” and has proceeded to immediately release political prisoners unlawfully imprisoned. Among the political prisoners released were 40 members of the opposition party, including former opposition leader Ousainou Darboe, who was wrongfully imprisoned for three years under Jammeh’s orders after being detained during a 2016 peaceful protest. Additional measures were adopted and policies implemented to reverse decades of damage and mistrust instilled in Gambians during the Jammeh regime, most notably through the strengthening of judicial panels by appointing new judges, reforming security services, and reversing Jammeh’s withdrawal from the ICC. Under the protection of Barrow’s new government, victims of human rights abuses under Jammeh’s regime have surfaced with the intentions of having their voices heard and justice served. According to Human Rights Watch, a coalition was formed in October 2017 made up of Gambian victims, civil society organizations, and international human rights groups with the intention of gathering evidence and holding the incumbent Barrow government accountable for prosecution of the former regime. The prosecution and indictment for crimes committed under the Jammeh regime officially began with the trial of nine National Intelligence Agency officials presumed responsible for the murder of opposition activist Solo Sandeng in 2016 after his body was exhumed in 2017. Follow-up witness hearings investigating victims of human rights abuses began early October of 2018 with an 11-member commission of judicial officials. By taking additional measures to establish a Truth, Reconciliation and Reparations Commission, the present administration illustrates a newfound commitment to maintaining international customary law and respecting the immutable rights of citizens, as well as ensuring reparation and justice for crimes committed. The status of this initiative is unclear, however, should the AU Commission choose to impose jurisdiction on electoral terms across Africa, the result could be monumental in redefining democratic empowerment in Africa as a whole and asserting the priority of human rights as a defining component of progressive African states. It remains unclear as to whether Jammeh will make an appearance during his indictment or whether Equatorial Guinea will cooperate in the process of extradition, however it is certain that ongoing investigations will continue to gather evidence so as to proceed with the cases of victims and their families seeking justice and reparations. Much like the case of Habré, the prosecution of Jammeh could prove influential in widening the breadth of not only international human rights law across Africa, but also an opportunity to further develop African jurisprudence, ensuring freedom, justice and accountability for all.